Front cover: Desperate Valor by Dale Gallon, courtesy of Dale Gallon Historical Art Gallery, Gettysburg, PA. Thanks to Michael Andrus, Robert Krick, and the interpretive staff at Richmond National Battlefield Park. Published by Eastern National, copyright 1996. All rights reserved. 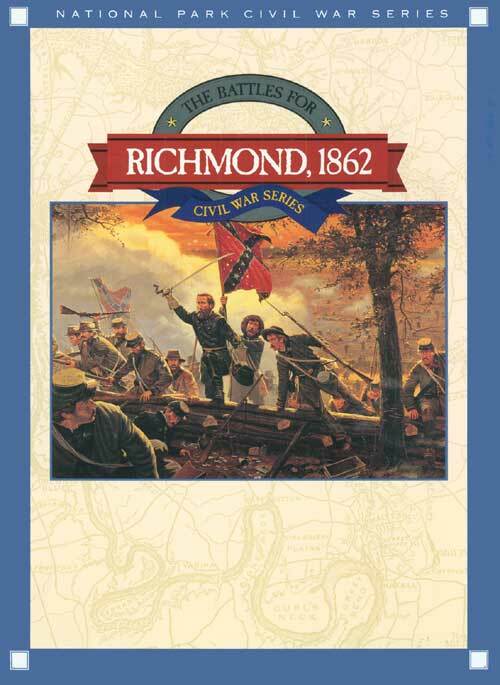 The following books are suggested reading for additional insights into the Civil War and its key battles: Clifford Dowdey, The Seven Days: The Emergence of Lee (Lincoln: University of Nebraska Press, 2004), Brian K. Burton, Extraordinary Circumstances: The Seven Days Battles (Bloomington: Indiana University Press, 2010), Gary W. Gallagher, The Richmond Campaign of 1862: The Peninsula and the Seven Days (Chapel Hill: The University of North Carolina Press, 2008), Brian K. Burton, The Peninsula and Seven Days: A Battlefield Guide (This Hallowed Ground: Guides to Civil War) (Lincoln: Bison Books, 2007), as well as the NPS Historical Handbook #33: Richmond Battlefields (Washington, DC: National Park Service, 1992) and the Teaching with Historic Places Lesson Plan: Chatham Plantation: Witness to the Civil War.